With tech demos debuting on Twitter that show the impressive things developers are achieving with Apple ARKits, some might say that Apple’s interest in Augmented Reality for the new iPhone is one of tech’s worst-kept secrets. But how big is the tech firm betting on AR for its next phone? 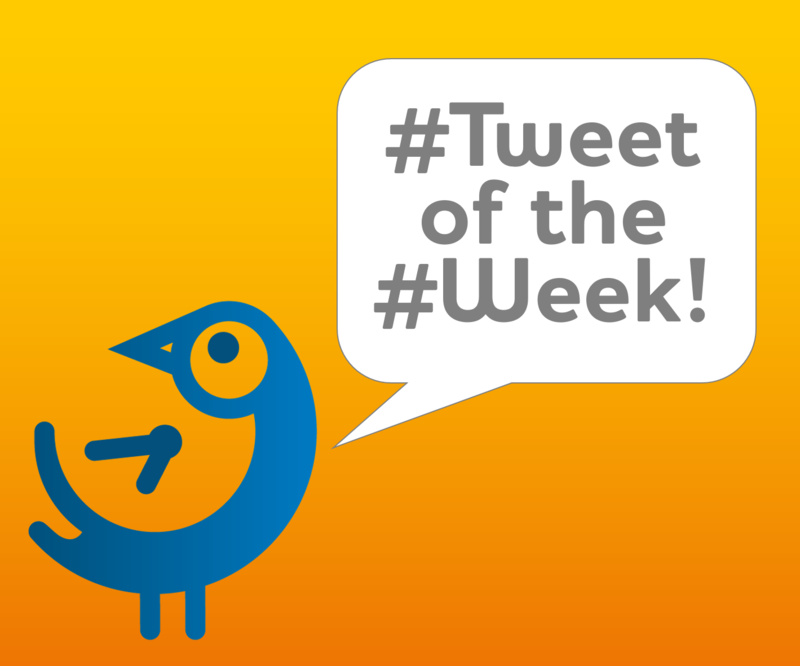 Well, this week’s Tweet of the Week, which comes from Loup Ventures (@LoupVentures), a venture capitalist firm based in the U.S., links to a well-researched report that may shed some light on the answer. We urge you to read the report in full, but to sum it up in a few lines, essentially it reveals that a U.S. telecoms equipment manufacturer called Lumentum ($LITE) has confirmed a large order for VCSEL lasers for the remainder of this CY. With Lumentum believed to be one of a very small number of suppliers of these lasers to Apple, and these lasers being a key technology for 3D capabilities, the author feels this is compelling enough evidence that Apple is still betting big on AR for its next iPhone. 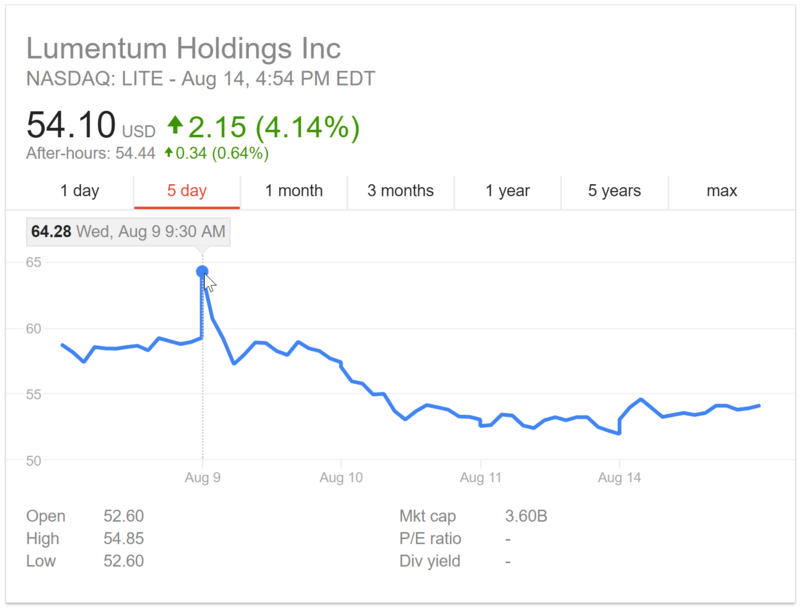 As you can see from the graph above, on 9 August, the same day the report was published, Lumentum’s stock price spiked from 58.93 USD to 64.28 USD, that’s over a 5% increase. However, the stock quickly eased in the afternoon, and has since struggled to get over the 55.00 USD mark. So what caused the subsequent decline? It’s difficult to say for sure, perhaps the spike in value caused an initial stock sell-off as investors looked to cash in, and this resulted in noise traders following the trend. Let’s also not forget the big stock market sell off that happened on 10 August, which may have also impacted the share value. Whether it was lofty stock valuations or tension in North Korea that caused last Thursday’s stock market sell off, there was one trader who walked away very happy amidst the meltdown. The mystery trader known as ‘50 Cent’ reportedly made $21 Million USD from the Volatility Index (VIX) spiking 44%. 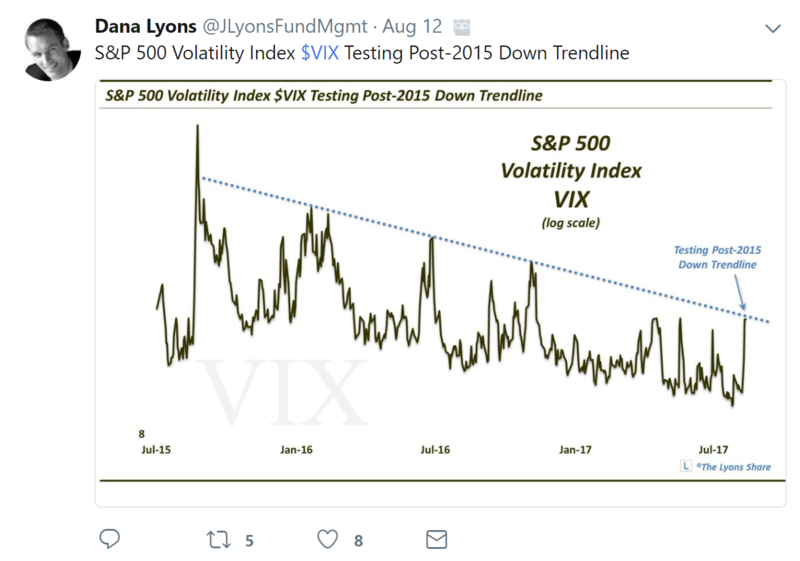 This week’s honourable mention is therefore VIX related, and goes to Dana Lyons (@JLyonsFundMgmt) who Tweeted this graph showing a Post-2015 Down Trendline for VIX – a must-see for any trendline traders. Want to keep on top of the Volatility Index? EarlyBird has two VIX SmartTracks, one for spot and another for futures, to help investors track VIX movements on Twitter. Contact us today to register for a free trial.